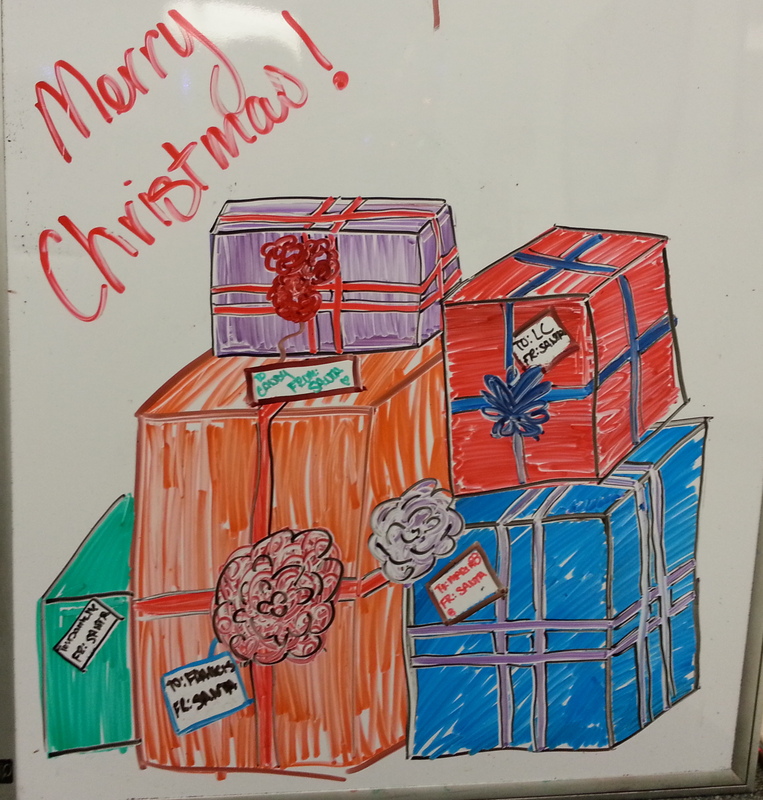 Presents on the white board at work! Mine is the red one. Merry Christmas everyone! I hope everyone is enjoying the day, no matter where you are or what you’re doing. I’m not even sure exactly what I’ll be doing but I plan on having fun! I’d like to take the time today to remember all the wonderful family and friends that I have and how privileged I am to be able to see and talk with these people often. Even if I cannot be with everyone in person, I can email, text, and video chat, and that’s pretty awesome. So I hope everyone stays warm, healthy, and full today. I will be thinking of all of you, even those anonymous readers who may glance at this. Merry Christmas and may today be very jolly!